Ross will have done this FOUR times now. Sayonara, Gase. You had a good run, and you'll bounce back with another team, but this year was a rough one to stomach with the utter destruction blowouts to end the season. Big changes needed. He's gonna win a Super Bowl for the Browns, isn't he? It looks like the Browns have a blindingly bright future. I'm jealous. So Grier will have control over the 53-man roster. Was he not part of the triumvirate of failure? Not sure what he has done to be excused or what he has done to prove he can build a competitive roster. Half-assed overhaul as always by Ross. Now that Gase is out, some of the dirty laundry is starting to see some daylight. It seems as though Gase has been fired for being impartial to certain players, and for not being able to make tough decisions. 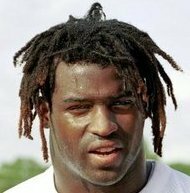 For instance, last draft Miami had a trade on the table from the Saints, the Phins could have traded back and landed Jackson. Gase didn't want to move on from Tannehill, and T-bomb backed Gase's decision. So Ross watched us draft Fitzpatrick, leave a couple picks on the table, and now Jackson is developing into a really good QB, and we have nothing for the future at QB. Gase apparently was so attached to RT17, that he wanted to give RT17 another shot next season. Gase also lost the veteran players, who were upset that Gase couldn't get along with the locker room. Apparently, Gase has a clique of players that he was always around, and players felt that if you weren't one of Gase's guys, you were treated unfairly. Gase's attitude was a big issue. Also, Ross hated the way that Gase handled the media. Gase went at it several times with beat reporters, threw players under the bus publicly, and dressed down players privately, for what seemed to be minor infractions. Gase had a huge chip on his shoulder, and would feel disrespected if a player questioned his decisions. Two people in football media have suggested that the Dolphins Head Coach will have to be a young coach with plenty of time to build the team. Unlike Cleveland, Green Bay, Arizona, and Tampa Bay, Miami doesn't have a core of solid young players, with a capable QB on the roster. Miami will have to be a complete and total rebuild, and an older coach won't have the patience to suffer though it. Also, Ross wants a coach that is a "players coach", who can connect with the team, and is a good motivator. 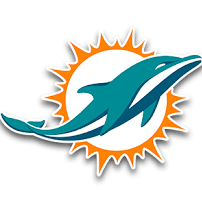 I am going to throw a name out that I would love for the Phins to interview, even though it is a long shot. Stanford coach David Shaw. I have watched Shaw for the last couple of years on the draft specials. He is very well spoken, has a great eye for talent, and has built Stanford into a very good program, even though they are an Ivy League school with severe limitations on recruiting. His former players love him, and I feel that Shaw may want a chance to prove himself at the highest level. Shaw is a natural leader, a former offensive coordinator, and he has 7 years of NFL coaching experience as an offensive quality control, QB, WR, TE, and OLB coach. He is the son of a very successful Head Coach, who coached many years in both college and the NFL. When he talks to his former players, they "light up" when they talk to him, a dead give away that he has earned their respect. He has developed tons of quality NFL talent, including several top O-lineman. I know it is a long shot, but man what a change it would be. Would also think Dan Campbell will have a good shot at it as well. So has Grier been promoted to VP or has he just been given more responsibilities as GM. Apparently HC will be reporting directly to Grier. I would love for once to have a structured hierarchy. HC responds to GM, GM responds to VP. We always seem to over complicate things. Miami Dolphins requested an HC interview with Patriots' DC Brian Flores, per source. If we hired Flores then that would likely mean a Defensive change to the 3-4, and the same with Fangio. Not sure what makes Flores a candidate really but he has had some interest from other teams reportedly. But they're simplifying things to a two-man structure. First it was Grier reports to Tannenbaum, and Tannenbaum and Gase both report to Ross. Now it's the new HC reporting to Grier, who reports to Ross directly and exclusively. Grier's hand was more in the draft. Tannenbaum had a bigger role in free agency and player retention. Miami has had quite good drafts recently and kind of bombed in FA. I agree. I haven’t hated Grier’s drafting. The Harris pick has been the only early pick that at the time had me concerned, even if it was widely reported that we liked Harris.......I still wasn’t sure on that one. I do believe he could be good though if we plant him at starting RDE and keep him there for a half season he will start making plays. I agree it is a step forward but I am not sure about handing over the reigns of everything football related to a guy that has 3 seasons of experience as a "GM" (GM in quotations because let's face it, he was just there for player evaluation and the draft, Tannenbaum was running the show) and has had limited success in the draft in those 3 years. Drafting hasn't been horrible but isn't anything to brag about either. Is that enough management experience to run a successful/contending franchise from the top down? I'm not sure. We'll see. I just feel like this was another opportunity wasted to clean house and bring in some fresh blood at the top of the hierarchy. People who have had success and have been part of building successful rosters. Nothing anyone in this organization can boast about. Also, I don't really know what our next GM will be doing if Grier is supposed draft expert and now has control over the roster but is called VP. Administrative work? I dunno. Guess we'll see if we are in the same spot in 3 years. We need to hit on a coach for once.